This 5 part series, Letting the Wolves Howl, covers the poaching of an endangered grey wolf in Washington State in 2008. Upon further questioning, Bill then stated that he did, in fact, know about Tom’s killing of the wolf and admitted that he had lied to the agents earlier. He admitted that his son had come to him for Brausen’s address. He also admitted that he had asked Ralph the previous year about shipping pelts, but Bill denied any involvement with Tom and Erin in this particular incident and didn’t know that they had actually tried to ship the pelt. At that point, the agents explained they would be continuing with the warrant, authorizing the seizure of their computer to look for correspondence with Ralph Brausen. Bill was also asked if he had any emails or photos on his computer in reference to the killing or shipping of wolves and he insisted there were none. However, in addition to photographs of illegal treeing and hunting of bobcats and mountain lions, WDFW agents found several incriminating photos related to the wolf death on Bill White’s computer. 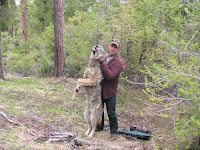 In the photos, Tom White is shown holding a dead gray wolf in the woods (see above photo). Two of the photos show a severely injured left front paw that is consistent with a trap injury. The background of the photos showed heavily torn up ground and vegetation that is indicative of a trapped animal trying to free itself. There was no sign of a fence nor was any fence wire visible in any of the photos. On the ground there was a camouflage backpack with an unzipped padded rifle case lying on top. The lack of fencing and the injury to the wolf’s paw ran contrary to Tom White’s story about it being caught in a fence. Emails found on Bill’s computer from 2008 stated that he and others were hunting three wolves near his home. In addition, in January, 2009, Bill White sent an email claiming he and others had shot two wolves in a group of nine and, later, one wolf in a group of three. It was unclear whether or not they had shot three more wolves or three total during that timeframe. 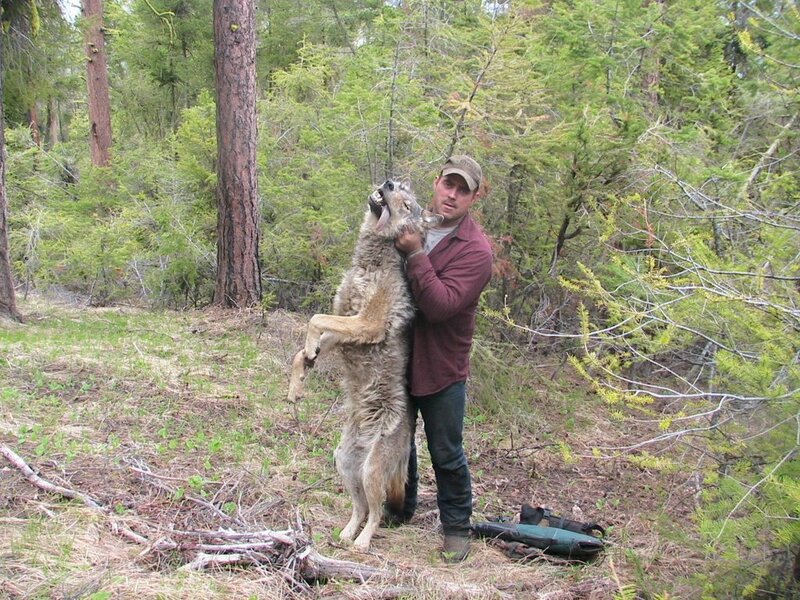 The indictment against Bill White, which didn’t occur until June 2011, also alleged that he had illegally applied pesticides in a manner intended to kill wolves. In the indictment, Bill faced nine felony counts, including conspiracy and obstruction charges. If he is convicted, the combined charges could result in decades in prison and hundreds of thousands of dollars in fines. If Tom White is convicted, he faces up to eight years in prison. Erin White’s conviction could lead to more than ten years jail time. I understand about protections and laws. But it seems there is a rather large investment of technology and time that went into tracking down and prosecuting over these kills. Then there is the cost to the economy for every day the miscreants are incarcerated, the costs of trials and all that. When I think of prison terms that you call out for these people, and what a murderer or negligent or corrupt regulator face, I have to wonder how much longer we can afford prison terms and prosecutions like this.